How to securely exchange confidential information in a chat session or an email/ticket? At LiveHelpNow, we don't only know how to spell security – we’re big believers in it. In the past, our chat sessions and emails have been great for holding secure online conversations with prospects and clients but there was no simple way to securely share confidential information. That was then – and this is now. Our unique new Secure Forms tool enables you to create any form to collect any information on the fly. You can securely receive loan applications, credit card information and much more from customers – from right within your chat session or ticket reply. All in PCI/HIPAA-compliant way! You may also select "Custom" to create your own form. 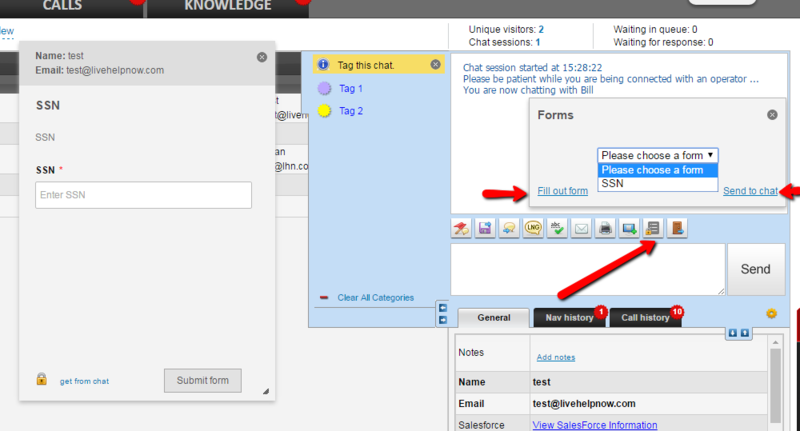 Select "Prompt in panel" if you would like the form to automatically show for agents to be filled out for every chat. Select "Encrypted" if you would like form submission to be saved encrypted. 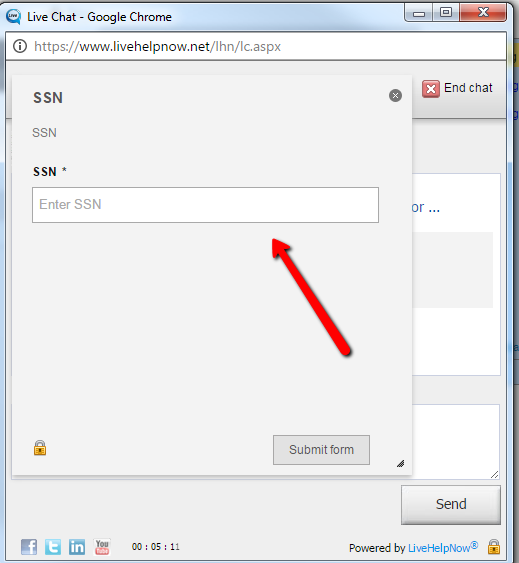 Encrypted forms may not be exported or reported on, they are designed only to receive information to be viewed within operator panel while in an active chat or in a ticket reply. 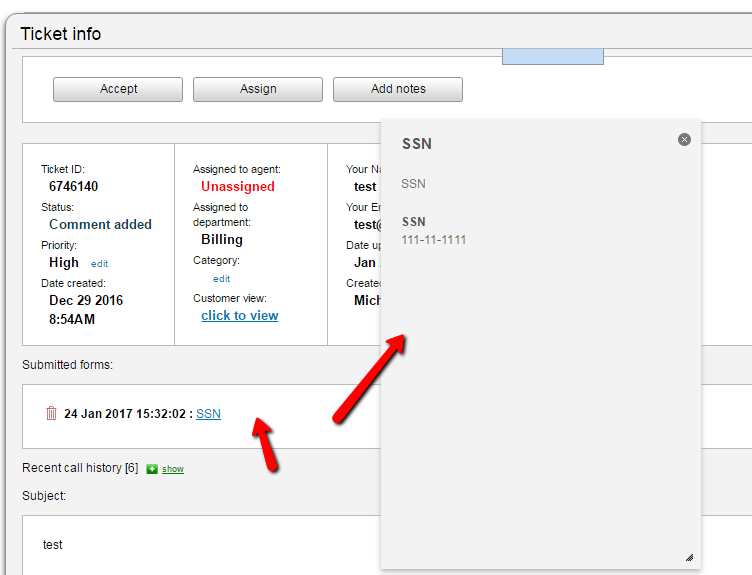 Add/remove fields to the form for collection. 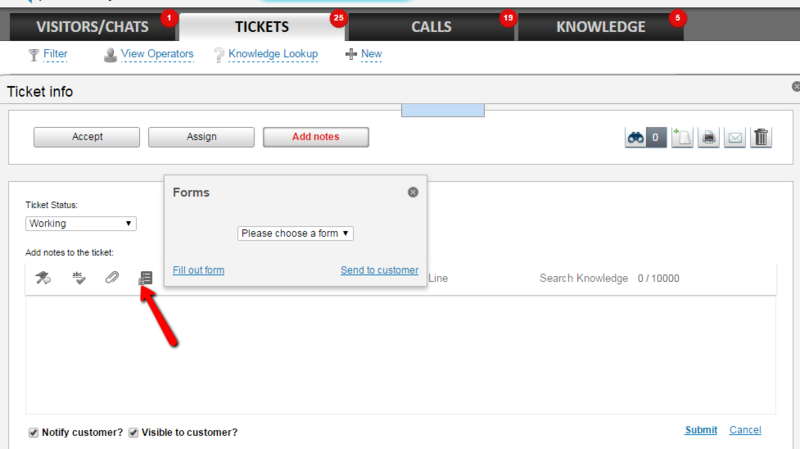 You may also use Group Fields there to frame fields of similar type to make the form formatted in a more logical way. 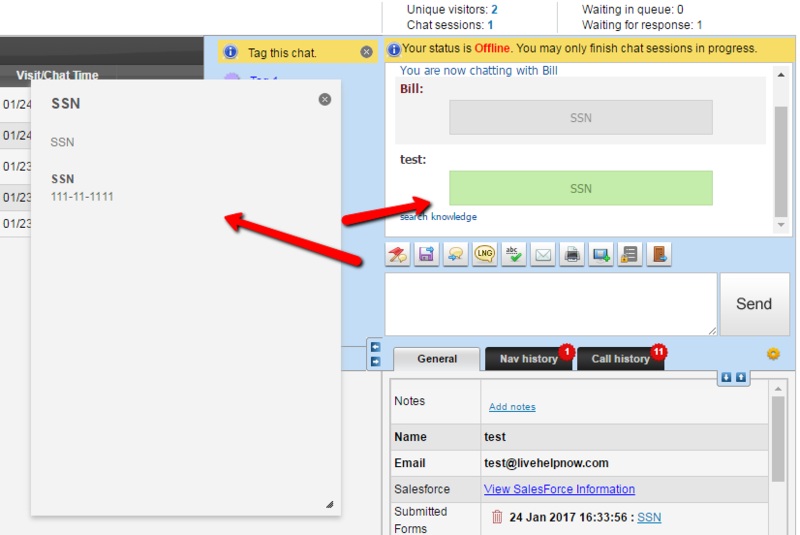 Once form(s) are created they may be used within a chat session or a ticket reply.